Like any artist I like to have my supplies close at hand. I have a pretty good sized bedroom dedicated to my studio space, but there are still size constraints. After cleaning and remodeling I didn't want to go back to a cluttered and cramped space where I found it oppressive to work. It was also important to me that my paint and supplies be visible while I was working. I hate digging through boxes and bins to find the right paint tube. I want to see every color available to me at a glance. So I went to the internet and started to investigate my options. After digging a bit I learned that other people have a similar problem in their kitchens and laundry rooms. That's how I found the Slim Storage Cart! 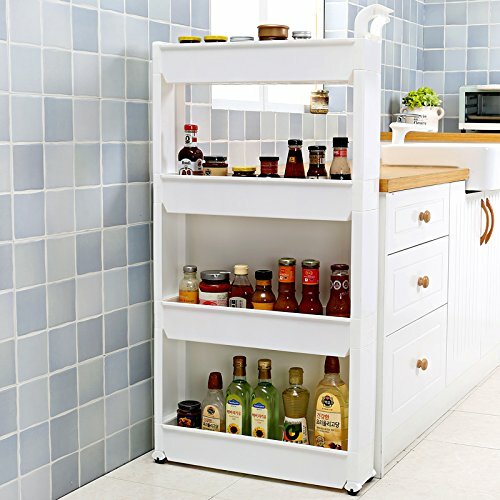 As the name implies this is a skinny cart is perfect for in-between spaces. It's light weight, has wheels, a handle, and is easy to push in and out. Perfect to store paints and other art supplies in a small space. Pull the cart out when you're painting, push it back under when working in another medium. The AJ 4-Tier Slim Storage Cart is on Amazon Prime for $33.99. You'll see from the images above that I only use three tiers. For some reason the 3 tier cart is not on Prime and was around $30 at the time. I've since found the 3 tier version for $26.99 plus free shipping and will post a link at the end of this article. The only problem I had with the cart is that the weight of my oil paint tubes caused the cart to separate if I needed to lift it to adjust its position. I solved that problem with a bit of super glue. 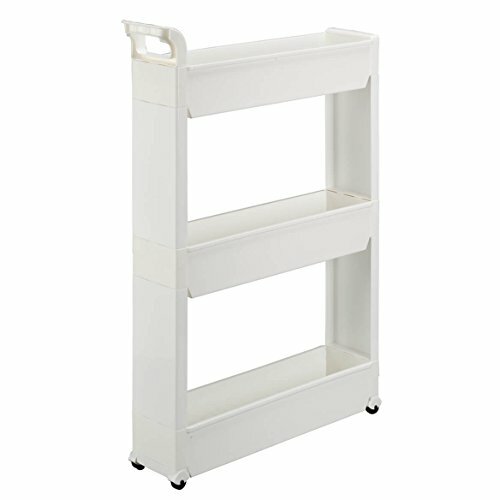 If you're interested in a skinny storage cart to fit in those in-between spaces of your studio, this is a great solution! I'm very happy with my cart. It's plastic and pretty basic, but it solved my storage and visibility problem for around $30. If you measure your space you should be able to do a better job than me and save a little money by getting the 3 tier version. Either way I hope the cart helps make your studio a little more efficient!